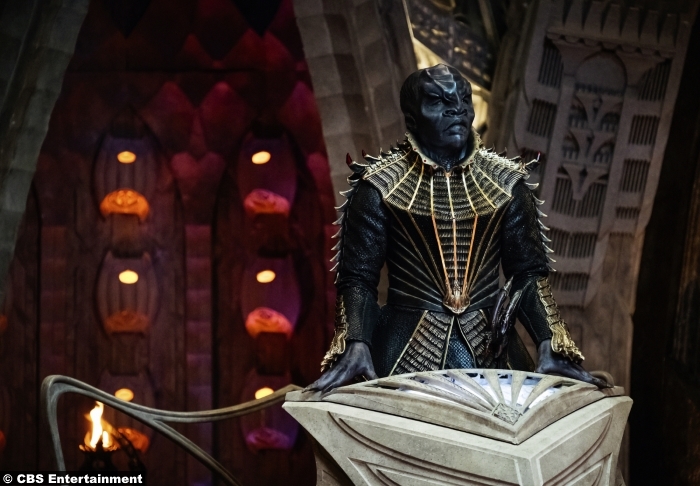 For the better part of a year, Cult of Whatever has been looking back on the history of Star Trek, getting hyped for the upcoming series—Discovery, which debuts later this month—and reflecting on the series’ place in the pantheon of American Television history. After fifty years, the franchise has hundreds of hours of stories to analyze, some of it good and some not so good. Anyone looking to criticize the universe Gene Roddenberry built can find easy targets, but those who want to show the series is one of the great legacies of 20th century (and beyond) entertainment will have plenty of source material to pick from too. 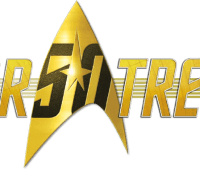 With every show and every iteration of the film-series (the original crew, the TNG gang and the JJ-reboots), you can find gems and duds; they’re peppered throughout the 50 year history of the franchise. Fans have tried to find patterns to make sense of the ups and downs, but there isn’t any one that’s rock-solid. The most famous pattern is the “even/odd movie” streak, which claims that every even-numbered film in the series will be good, while every odd-numbered film will be bad. There’s some merit to it; Star Trek II, IV and VI are considered the best of the TOS-era movies, while the original film was a misfire, Star Trek V a cheesefest and Star Trek III was burdened with having to follow II and precede IV. Meanwhile First Contact (the eighth film) was light-years better than Generations before it and Insurrection after it. On the other hand, Nemesis was movie ten and it stank worse than a wet Tholian fart. Opinions on Into Darkness (movie twelve) are mixed, but for my money it’s among the worst (for a slew of different reasons). So the curse/streak is as good as dead. There is one constant in the Star Trek universe, however; one thing that, so far at least, you can take to the bank as a certainty: Star Trek’s premiere episodes tend to stink, or at least really underwhelm compared to later episodes. 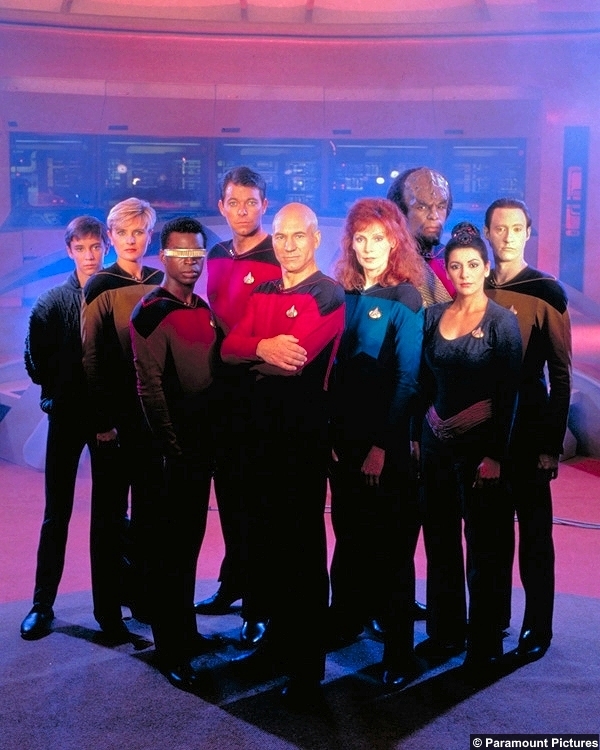 While shows like TNG and DS9 grew into classics with episodes that will still be some of the best expressions of science fiction on television fifty years from now, the early going was rough for both: TNG’s “Encounter at Farpoint” is really hard to watch today; the music choices are jarring and certain performances are cringe-worthy. Everything is hokey and unsure of itself. It’s night and day over the final episode of the series, which perfectly combined high-concept science-fiction and grounded/human (relatable) drama and action; a combination which the first episode had no idea how to juggle. DS9’s “Emissary” suffers from trying too hard to set everything up that it fails to do a TV show’s number-one job: Entertain. Everything in the premiere suffers from being too on the nose with its world building, particularly in the way the characters overact in order to highlight what makes each unique. Bashir is a little too wide-eyed and eager, Quark is a little too callous and greedy, Kira is a little too militaristic and abrasive, etc. It was like Rick Berman and company wanted to get all of the character-establishment out of the way by the end of the first episode instead of slowly unveiling everyone over the course of a year. The cast would settle in and find their grooves by the end of season two, but the flaws that really hamstrung the show in its opening seasons are out in full for the first episode. The Original Series and Voyager are shows that were more up-and-down throughout their run, but both started off on a down note. The Original Series’ first pilot (“The Cage”) was so bad NBC ordered it redone, having loved Gene’s idea but hated his first attempt at executing it. The show was pitched as “Wagon Train to the stars,” meaning it was a sci-fi spin on the popular “Wagon Train” western series that ran for years on NBC (and later ABC). In fact when you watch the Original Series it’s easy to see the “western in space” vibe that Roddenberry sold to the network. There are outlaws and shootouts, drifters and damsels in distress, all wrapped in a sci-fi veneer. Yes there were a lot of “morality plays” that made you think, but the show did a great job balancing the mindful moments with the action parts. The original pilot, however, did not have that balance; it was highly cerebral; literally in fact: The villains of the episode were telepaths with giant craniums to house their massive brains. The show needed more of a spark and they would later find it with William Shatner’s James Kirk, space cowboy/sheriff extraordinaire. 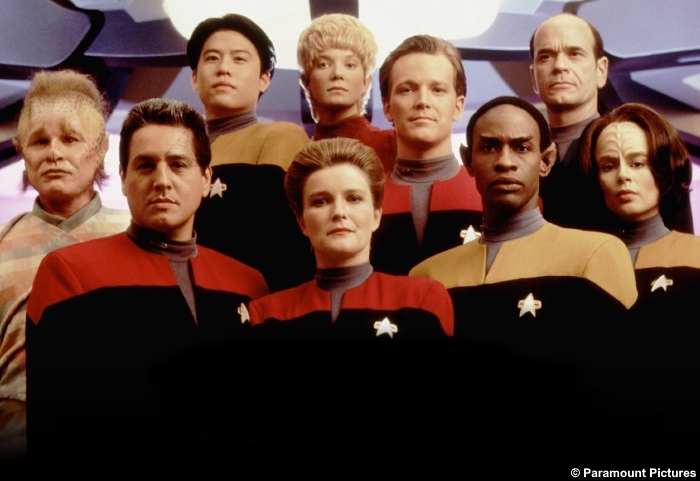 Voyager was likewise a mixed bag and though it grew more consistently-good as it progressed, the show never succeeded in living up to its stellar premise, and really only worked when it quit trying to be about a lone ship trying to get home and instead focused on the characters. When the show allowed its great group of actors to cut loose (particularly Robert Picardo’s The Doctor), it shined. When it focused on plot, it stumbled. The pilot episode, “Caretaker,” which launched not only the show but the entire UPN network, did not have a handle on its characters just yet. That’s understandable; few shows do in the beginning. Voyager had a great premise, but it squandered it with bad writing from the very first episode. The critical moment of the episode is when Cpt. Janeway decides to destroy the device that could propel her crew instantly back to DS9 from which they left; doing so would mean abandoning an innocent alien species to death, however. So Janeway, after very (very) little time discussing the idea, opts to strand her crew seventy years from home. The fact that there isn’t even a hint of the crew being disgruntled at the decision of the captain is beyond believability, especially since half the crew is now composed of ex-criminal Maquis. The show’s commitment to pushing the reset button every week meant starting the show off by explaining to the viewers that no decision matters once the credits roll, so no decisions are allowed to have repercussions. It was a wrong-footed way to start a weekly series, and the show suffered from that frustrating start for years, with sharply declining ratings, before it finally stabilized around season four. Enterprise’s struggles are well-known, with the show failing to figure itself out until season four (its last). The first two seasons, however, were so poorly received that UPN almost dropped the show after fifty episodes. To understand what was so wrong about it, you need only watch season one, episode one. On paper, the opening episode, “Broken Bow,” had everything you’d want a pilot to have. It had action, drama, mystery, surprises, a touch of familiar/old and a dash of unexpected/new, but when you actually watch it, the episode just feels hollow. It’s going through the motions; there’s no passion, no sense of urgency, no excitement. Even during the action scenes, there’s nothing that makes you say “wow;” everything is so sterile. It’s the off brand canned soup of episodes, perfectly reflective of Enterprise in general, at least initially. 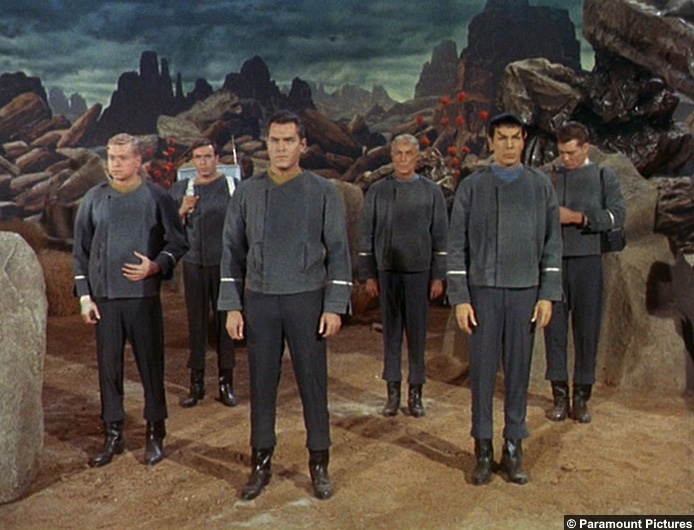 And yet, there was has not been a single Star Trek show that ended worse than it began. “The Cage” may have been a disaster, but by the end of the third season, fans were flooding NBC’s offices with letters, begging for the show to stay on the air. “Encounter at Farpoint” may have been a clunky, too-1980’s (even for the 1980’s) hamfest, but “All Good Things…” was a Hugo winner and the show itself was already being considered a genre-classic. 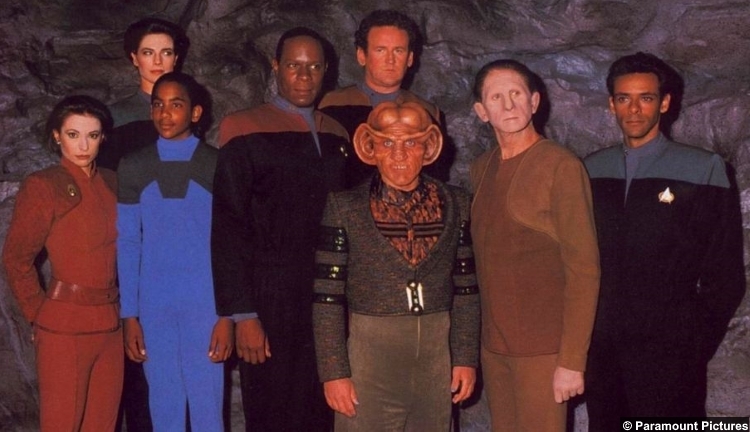 “Emissary” was a clunky episode with characters that felt too inhuman and detached to be relatable; “What You Leave Behind” still makes me cry when I have my regular DS9 rewatch and have to say goodbye to Odo, Sisko and the gang. “Caretaker” was a bad start…and come to think of it, “Endgame” was a pretty poor finish, but in between are a few gems worth revisiting. “Broken Bow” made Enterprise dead on arrival, but the show found a pulse in the final stretch of episodes (let us not speak of “These Are The Voyages”). 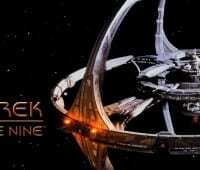 All that is said to in full view of the fact that we are weeks away from a new Star Trek “first episode” and even though this will be different from any that have come previously (since this will be a more serialized show than before), it’s still entirely possible that the streak of bad Star Trek pilots will continue with Discovery. Already the show has garnered intense debate among fans. This is the first Star Trek show to premiere in the truly post-internet age. We’re more interconnected as a fanbase than ever and many are nervous over what they’ve seen. The dialogue seems uninspired, the brief glimpses of acting we’ve seen appears stilted and we’re still not quite sure how the story (or stories) will be laid out; we’ve never had a Trek show focused on multiple crews and ships before. 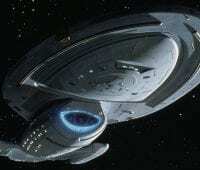 Fans want this to succeed because Star Trek needs to be on TV again; it’s been long enough. But the intense need for Discovery to soar to TNG/DS9 levels of greatness has produced great anxiety in the fanbase. If the first episode fails to blow everyone away, there will be much consternation happening online. 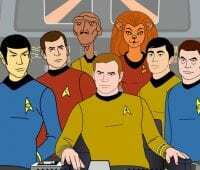 Never fear, however, if the first episode is weak, that’s just the way Star Trek goes. Give it time, be patient, let the writers and actors find their groove, and the show will end likely on a high note. 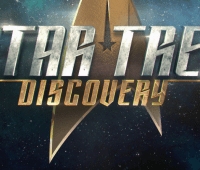 We’ll have regular reviews of Discovery’s first season coming soon. 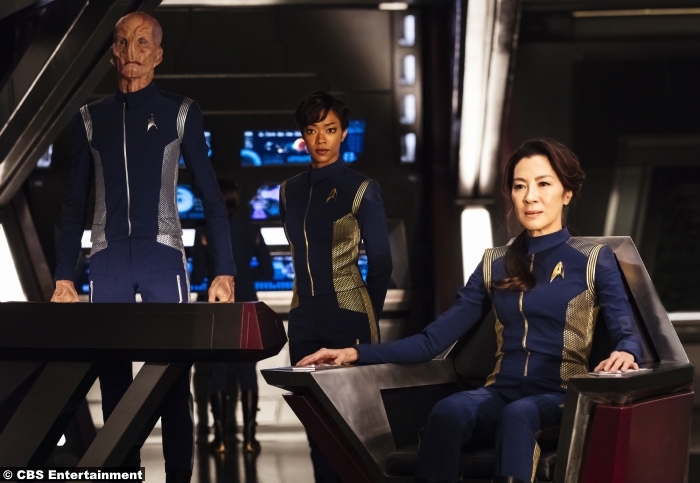 Discovery is a big risk for both CBS and Star Trek.